Social media can be a third or more of your website traffic or it can be a complete failure. The difference depends on how you use it to promote your blog and increase website traffic. In this video, I’ll show you a social media plan for each of the major platforms as well as an overall social media strategy for your blog. I’ll also reveal three social media secrets that will make sure you get the most clicks for your time. Now we’ve all used social media but there’s a huge difference between just posting personally and using it professionally. Just like that idea of treating your blog as a business that we’ve talked about through the blogging tutorials, getting the most from social media means getting organized and treating it like a business as well. Click here to watch the entire series from start-to-finish. You’ll also want to check out that first video on how to set up your blog and the free plugins I recommend to all beginning bloggers. In this video, we’ll first look at the major social platforms, how they each work and how to use them to get the most traffic back to your blog. We’ll then develop an overall social media strategy that will organize all this and build a raving community around your blog. Finally, I’ll reveal three secrets to social media that are going to be critical to using social for your website. Make sure you stick around for those because you won’t hear them anywhere else. So let’s get started looking at the biggest social platforms. We’ll look at four platforms here and this idea of not going after every platform is going to be important. There are dozens of social sites you can use and it can be really easy to use them in bulk, just posting your message and a link. The problem with this shotgun approach to blogging is that it just wastes your time. Success on social media is about engaging, being social, and building a community that is actually going to click through your links. That’s why it’s going to be better to focus on maybe two or three platforms instead of trying to spread your time across five or six. Let’s start with the juggernaut of social media, Facebook, which typically accounts for about twenty to 25% of total blog traffic. Now this graphic from Shareaholic is from a survey of 150,000 websites but I think for blogs it might be a little off. 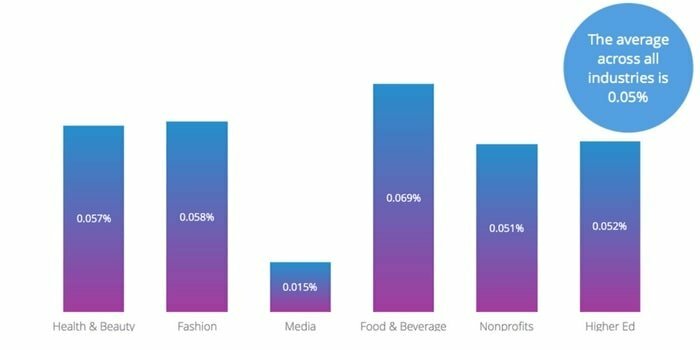 Data from the survey shows about a third of website traffic is from social with 25% from Facebook, five percent from Pinterest and the other three percent from all other social sites. My own social traffic is actually only around 20% of my total traffic. That’s similar to some blogger friends I’ve talked to but maybe just because we’ve built up our Google search traffic so much that social is going to be a smaller part. Of that social traffic, Pinterest is a little more than half so about 10% of my total site traffic. Facebook accounts for about 5% of total traffic and the rest comes from Twitter and Instagram. So even if Facebook isn’t a huge chunk of your traffic, it’s probably going to be a decent share. The upside, besides the fact that it’s by far the largest social platform, you probably already use it so there won’t be much of a learning curve to using it professionally. The downside to Facebook is that it’s becoming very much a pay-to-play site. Ol’ man Zuck didn’t become one of the richest people in the world by letting you use the site for free. Facebook isn’t showing posts to your page followers or even your friends as much as it used to, especially if you put a link out in the post. That said, there is a strategy you can use to get your posts seen by more people and get more traffic from Facebook. Again, I’m going to show you some Facebook specific strategy here then share more general social strategy to use across platforms later in the video. Post to Facebook on the day you publish your blog post with a landscape graphic for the social post. Now a lot of people have been posting only text and placing the link in the first comment to get around Facebook’s policy of limiting the reach on posts that link off-platform. The problem here is that people might not check the first comment and I don’t imagine it’s going to be long before the platform starts limiting posts with an off-site link anywhere in the comments. The day after you post, go back to your Facebook page and engage with your community with a question or some comment relating to the post. Don’t add an off-site link here so the post goes to as many people as possible, sparking that interest in the post and getting them to check out that previous post with the link. Part of the broader strategy we’ll talk about later is engaging in related groups on the platform. Answering questions and just generally being a contributing member to the group will build trust with the members. Then you can start referring to questions with a link to relevant blog posts or even start posts to promote your blog. Always make sure you stay within the group guidelines and don’t just spam your links. Be a valuable member of their community and these group pages can mean even more traffic than the organic community on your own page. The final step in your Facebook strategy is to go live a few days after each post. A simple and brief live video can be enough to summarize the post, spark some more interest in the post and get the rest of the community that hasn’t seen it yet to click through. One thing I want to mention here, and this is important across all the social platforms, is to not expect a small social community to send you thousands of clicks in traffic. Rival IQ studied the engagement rate on Facebook and Twitter, the percentage of people seeing a post that actually click through or like the post. The study found that engagement on Facebook is just 0.17% which means only about one in 588 people that see your post are going to engage with it. The next social platform we’ll look at is Pinterest which is about five to 10% of total traffic for most bloggers. Unlock the secret to Pinterest though and it can mean hundreds of thousands in traffic to your blog. The power of Pinterest is that it’s a search platform so your pins can get traffic for a long time versus that immediate nature of Facebook or Twitter. The downside is that it’s not a social platform so it’s harder to build a real community of followers. One very important think I’ll say about Pinterest is that every blogger needs to at least give it a try. I avoided it for more than a year thinking my personal finance content wasn’t very visual or suited for the platform. Within three months of starting to use it though, it was thousands of visitors a month to the blogs. And Pinterest is actually one of the easier platforms to use. After you get a feel for the type of pins, those portrait-size images that work best, it’s an easy site to automate your strategy. On the first day you publish a post, you’ll want to share it with a pinnable image to one of your boards. Boards are just the folders of pins you set up in your account to group related ideas so you might have a personal finance blog but you’ll have lots of boards with pins on Pinterest with a board on debt and one on investing and maybe budgeting and so forth. A few days after you publish, try creating another pin image for your post and sharing again. This is going to let you test out a couple of ideas and really amplify your message. Something else we’ll talk about in the broader strategy next is using schedulers to automate your social media strategy. These make it easy to schedule your posts and share other creators’ posts but there’s a warning that I’ll reveal later in that strategy. With Pinterest, the scheduler most people use is Tailwind. It’s very easy to use and is actually approved by Pinterest so you don’t have to worry about any Pinterest/Tailwind conflicts. You can use Tailwind for free or they have some extra features you can unlock for a monthly membership. Twitter is a platform that you either love or don’t get much from. I only get about a percent of my traffic from the platform but know bloggers that get 5% or more. I will say for Twitter is that journalists use it a lot for sourcing quotes and experts so it can be an excellent platform for outreach and authority-building. Another strength of Twitter is that your message can get amplified to people far outside your network. It’s not like Facebook that’s severely limiting reach. The downside to Twitter is that engagement is extremely low. In that Rival IQ study, Twitter engagement was only 0.05% so one like or click per 2000 views of your post. Tweets also die much faster than posts on other social platforms. Another study showed that the average tweet is buried in someone’s feed within eight minutes. This all makes a good strategy and frequent posting so important. That limited lifespan of a Tweet influences our strategy here. On the day you publish a post, you want to be sharing at least three different times with different text and graphics. Tweet ideas include quotes and numbers from the post, interesting graphics and the title. You can also use a clip from your Facebook live to tweet or any of your other social shares. An important part of that overall social strategy we’ll look at is going to be cross-promoting across your social channels. So we’re not just driving traffic from social to your blog. 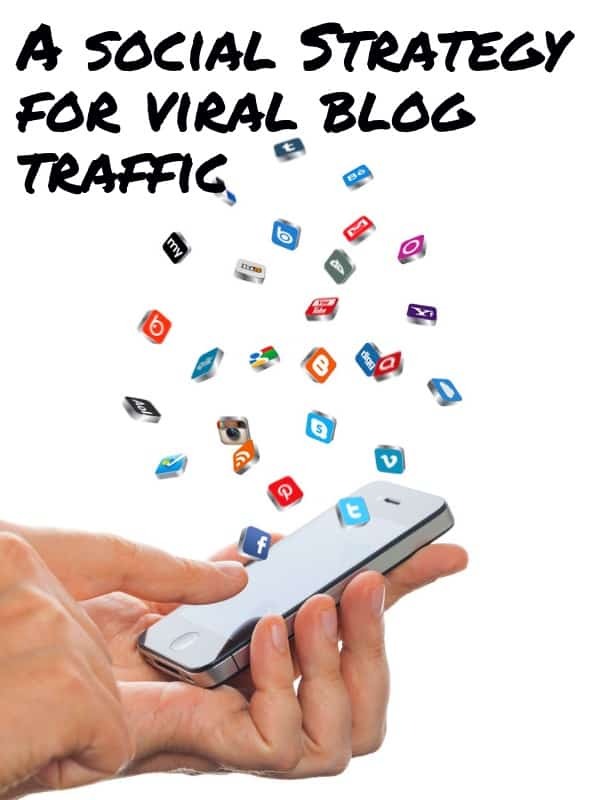 You can also drive traffic from Twitter to Facebook to build that community. A social media management tool like HootSuite is a must for Twitter because of that short lifespan. To get the most out of the platform, you need to be sharing at least 10 or more times a day. We’ll get to what to share besides your own posts but to not be wasting hours every day checking in to Twitter, you have to use a management tool to schedule. The final platform we’ll look at before developing an overall social strategy is YouTube. Now we’ll talk about YouTube as a social media site here but take it from someone that has seen his income more than double from YouTube, the platform can be a much larger part of your online business. Like Pinterest, the power of YouTube lies in that search engine idea so your videos can attract views for years after you post. Also with that video, you get a face-to-face relationship with people that you’ll never get with a blog. For each blog post, or at least the really strong ones you want to promote, create a three or four minute summary video. Publish it on YouTube the first day it goes live on your blog so you get the two pieces working together. Your YouTube traffic will boost the blog post and embedding the video on your blog will boost your video on YouTube as well. If you include a link to the blog post within the top couple of sentences in the video description, it will show up as a clickable link without viewers having to expand the description. With this, you can usually get from 5% to 10% click through from the video to your blog. Even a video with a few thousand views means hundreds more visitors to your blog. Besides a source for social media traffic, I would highly recommend developing your YouTube channel as an asset in itself. I used my channel for just these summary videos for years before paying attention to YouTube. I got some traffic but the channel never really grew much. When I started actually spending some time to grow the channel, I grew it to over 36,000 subscribers in the first year and doubled my income. I know this is a long video, but stick with me. This social media strategy is going to be as much as a third of your traffic and will take your blog to the next level. Now we’re going to develop a general social media strategy that’s going to tie all the individual platforms together and make sure you get the most for your time. Your overall social strategy has to start with your content, the posts on your blog. This means you need to consciously include things that will be shared by your readers including quotes, images and data. You can also use different types of media like video and infographics. Making sure you have at least a few of these ideas in each post will make it more likely that people share on social and will give you more things to share with your community. Next is to download the Shareaholic plugin and activate it to float on each page and blog post. We talked about plugins in our first video in the blogging series. This one is a must-have and will make it easy for people to share your blog post with others. It’s completely free, won’t slow down your website and the share icons will stay in the same place on the screen as someone scrolls through the page. Next in your social strategy is to create a spreadsheet of bloggers you follow. Sharing other people’s blog content with your community is a hugely important part of social media that most people just don’t understand. Sharing another blogger’s content does a few things. First, it shows your community that it’s not all about you. You want them to have the best information that’s going to help them. You’re a trusted resource for all the info they need in the topic because you’re finding all the best content to share with them. Sharing other bloggers’ content is also going to put you on their radar as well. That’s going to mean they’re not only more likely to share your blog posts but might be open to other kinds of collaborations as well as linking to your content from their blog. Of course, you can do all this without a spreadsheet but part of a successful business is keeping things organized. Don’t leave this up to your memory. Schedule time every day to check out some blog posts on your friends list and share their content. That idea of a schedule is important and you need to set it into your daily routine. I’d recommend about an hour a day to schedule all your posts to go out, curate other bloggers’ content and all these other social tasks in your strategy. Besides keeping yourself organized, scheduling a certain time is going to keep you from checking back on the social platforms five times a day and wasting time on the distraction. Another part of this strategy is going to be…well, being social. It amazes me that to many bloggers, their whole social strategy is just posting their content on the platforms and that’s it. They expect others to start the conversation and they expect to create a social community from this one-way communication. Social media is social. That means starting a conversation on your social pages that doesn’t include links out to a post. It also means finding a few legit groups on each platform and becoming a valuable member of the group. This is that idea we talked about earlier, finding related groups on Facebook and contributing before you start referencing your blog. None of this would be possible without the use of a social media management tool like HootSuite and Tailwind. You just can’t possibly share out multiple times to each platform every day including curating other bloggers’ content and still have the time to engage in groups or do much of anything else. I like HootSuite for most of the platforms because you can do most of what you need right from their website. 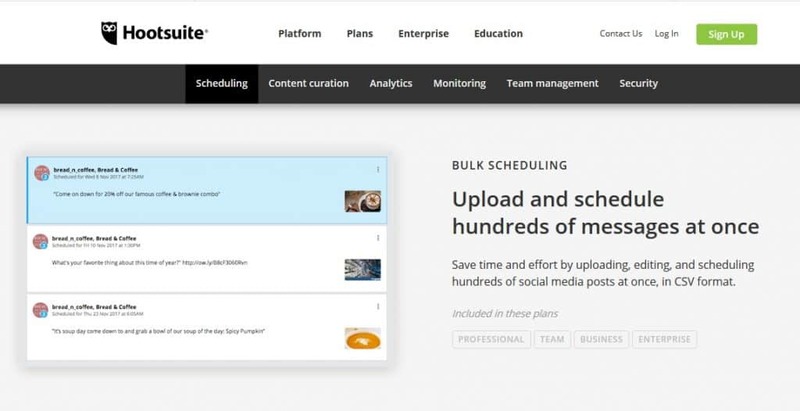 You’ll be able to schedule posts across most social platforms, you can curate other bloggers’ content directly from HootSuite so no jumping from blog to blog. The tool even lets you engage on the platforms from your dashboard so it’s really convenient. You can use Hootsuite free to connect three social accounts but even the paid level for 10 accounts is only twenty bucks a month so definitely something in my blogging budget. Get a free month of Hootsuite when you sign up today. Now your content strategy isn’t just about blasting out links to your posts. We’ve already talked about the importance of engaging with your community and this feeds into the idea of a content mix. This is a formal idea of how much you share on social from different types of content. The rule of thumb here is that about 40% of your social posts, or about four-in-ten, can be promoting blog posts for traffic back to your website. You still want to engage with some questions on these but the link will be the important part. Another 25%, maybe two or three out of ten posts, will be curated content. Sharing posts from other bloggers. Another 20% or two in ten shares will be for monetized content. Here we’re talking about sharing your products, courses and sharing links to those blog posts that are heavily monetized with affiliates. These are your money-makers so you don’t want to ignore the opportunity of getting them out to your community on social but you don’t want to overdo it. This leaves 15%, maybe one or two posts in every ten, to be community building posts on each social platform. These are social posts you create that don’t include links taking people off the platform. These are going to be posts like questions, updates and motivation that will spark a conversation and build that sense of community. So we’ve got those strategies on each specific social media site plus our overall social strategy, now I want to reveal three rules of social media that will guarantee your success. These three critical keys to using social that you absolutely cannot ignore if you want more traffic. First is that you have to triage your time. Even scheduling an hour each day to work on social, you just don’t have the time to be on every social media platform. And you don’t need to. Pick two or three social platforms, maybe four at the most, to really build a community. Think about which platforms you use and enjoy most already. Think about where your audience is. There are some big demographic differences between the platforms. Instagram and Twitter have a younger average user. 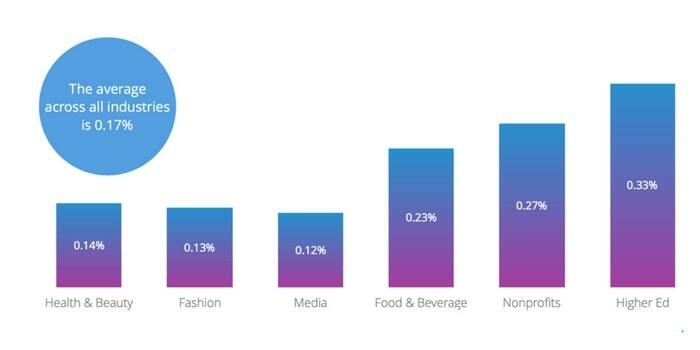 Female users outnumber male about two-to-one on Pinterest. I would recommend using Facebook and Pinterest and then maybe adding one or two other platforms. The second rule of social is to BE SOCIAL! It’s something we’ve talked about but really needs to be repeated. The reason you’re only focusing on a few social platforms is because you’ll be spending time every day to engage with your community and on groups. People aren’t going to click through to your blog posts unless they know you and trust you as a person. The third social secret here won’t sound like much of a secret but it’s going to be a big part of your success and that’s just to be consistent. You’ll never get anywhere if you only show up in someone’s social feed once a month. This doesn’t mean you need to be live 24/7 but set a schedule for posting on each platform a couple times a day or more. It’s a lot of work but nobody said a third or more of your traffic was going to be easy. Follow this social media strategy though and I guarantee you’ll be out ahead of 90% of the bloggers out there.